Drop-shaped tungsten numbered key tag is ideal for clubs, leisure centers, schools, etc, which not only has beautiful and bright appearance, but also has good prosperities of wear resistance, oxidation resistance, high hardness and long life. Precision laser engraved and cut from high-quality tungsten alloy material. All tags are with 25mm nickel plated split ring. 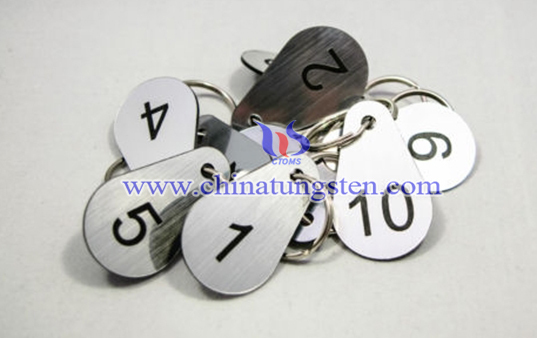 The drop shaped tungsten numbered key tag is very attractive that catches your eye all the time. It also can be regarded as a nice present for your friends or classmates. Customers can design anything you can think of and our term will make it become real. 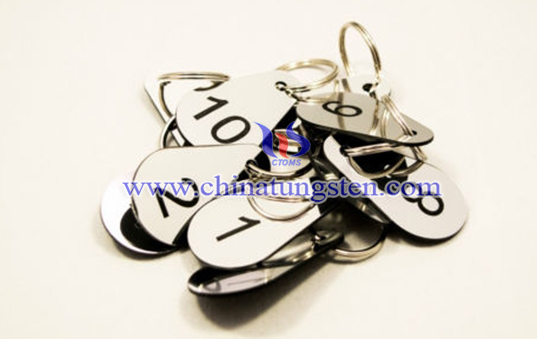 If you have any interest in drop-shaped tungsten numbered key tag, please feel free to contact us by email: sales@chinatungsten.com sales@xiamentungsten.com or by telephone:0086 592 5129696.